My fellow writers on this big project are Stu Dawson, Phil Dawson, and Ross Tweedie. The four of us have had some great adventures while researching for the guide. And found some new favorites in places like Neiwan and Yunlin. I promise to write some in-depth posts about the beauty that I found soon. But first we need to do the finishing touches on the iPhone App and take care of a few odds and ends. 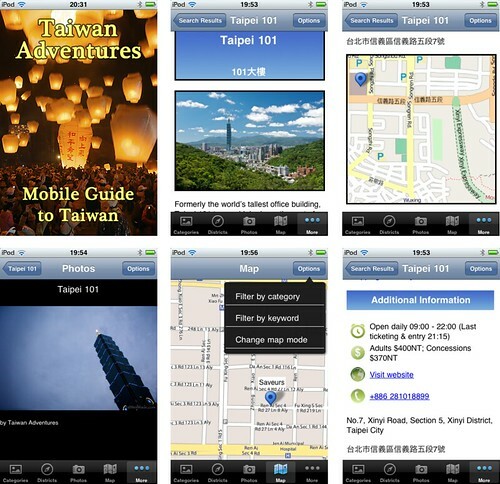 Until that time, have a look at the iPhone App screen shots below, and STAY TUNED FOR EVEN MORE!!! 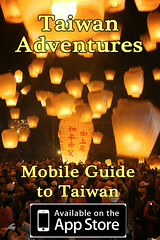 Please let me know when it is available, will be nice to have a Taiwan guidebook with good photography. Thanks Rich! It seems to keep getting delayed, but we’ll let you know when it’s ready. Thanks for this guide. It’s hard to find information on some of these places even existing, much less what to do there. Thanks Wade. We really appreciate any feedback! Neil, that’s terrific, really. I always thought bloggers should come together to do something like that. Thank you. We don’t have anything for Andriod yet, but maybe soon! i try looking into it but seems like it’s down ? 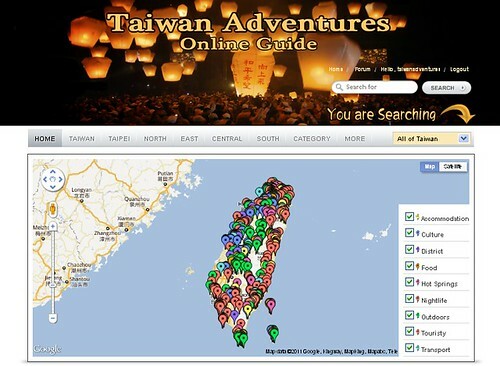 i have a nice domain http://taiwanguides.com sitting around … maybe we can work on it together … i think the useful resources not in use is a pity. We dumped this years ago.